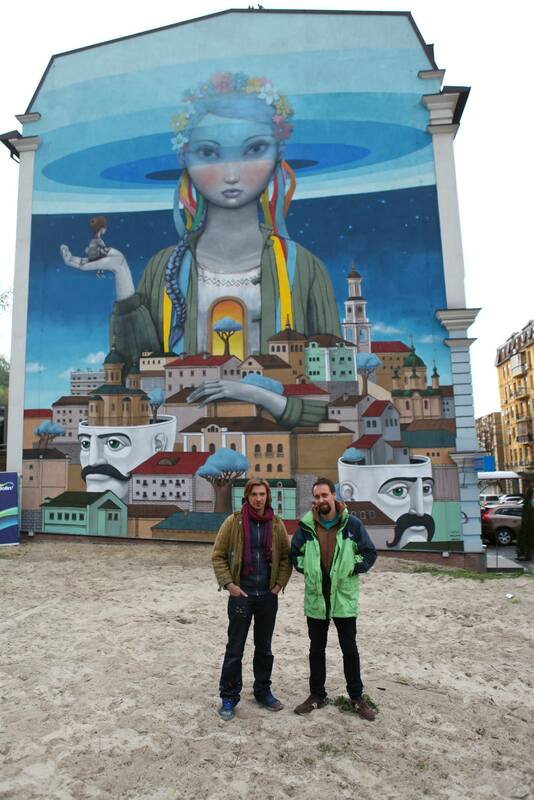 While most of the world has been attending to the conflict between Putin’s puppets and Ukrainians struggling for some semblance of self-determination, the gifted French street artist Seth GlobePainter and his Ukrainian friend Alexsey Kislow decided to enliven Kiev with a mural titled “Renaissance”. 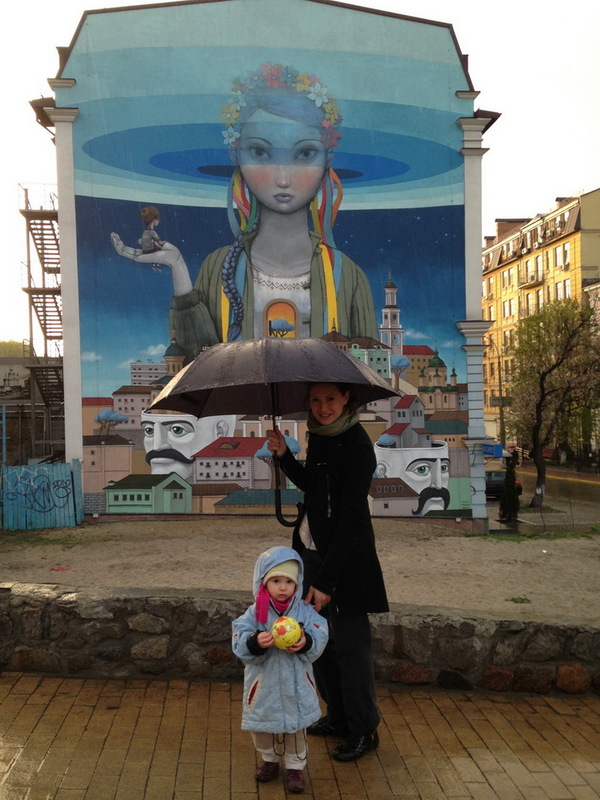 The polychromatic piece took a week to complete, with imagery hinting at a hopeful future for Ukraine. Seth and Kislow plan to buoy spirits with more wall art around the city in coming weeks. 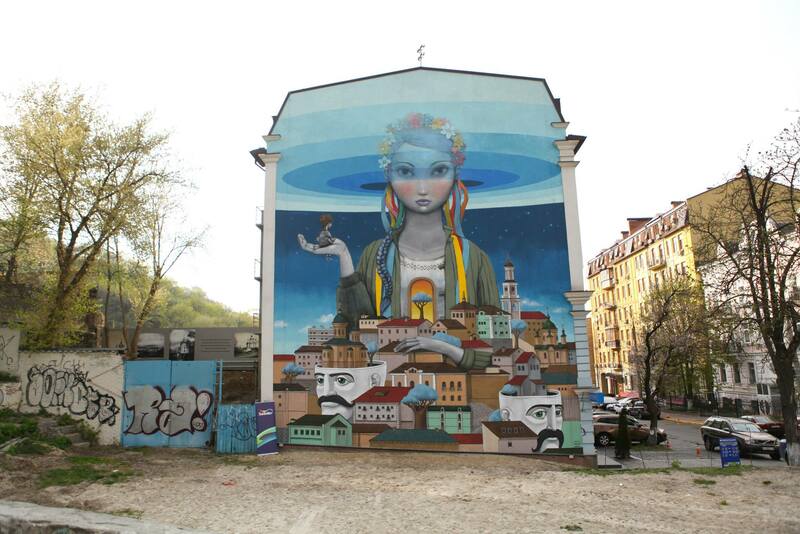 This entry was posted in Art, Europe and tagged Kiev, Street Art, Ukraine. Bookmark the permalink. What awesome street art! Thanks for sharing his gift with us!